Are you looking for a way to incorporate health and fitness regimens that are naturally good for the whole body? If so, then The Silent Mind in Twinsburg, Ohio is a place that you need to visit. This facility is conveniently located near the Hudson, Ohio and Solon, Ohio areas and offers a variety of health-related activities for your enjoyment. The goal of The Silent Mind is to assist you in your self-development and self improvement. They take a unique approach to accomplishing this by offering a membership-based school that is family oriented and offers coursework for kids, teens and adults. Their health and spiritual enlightenment classes are offered in several different ways. 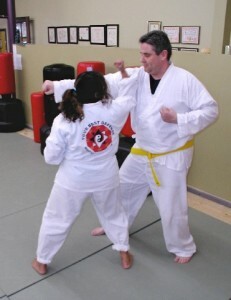 There is self defense and family martial arts—more specifically, Aikido, Kung Fu and Jujutsu classes. These aren’t your average Karate classes! Also offered at The Silent Mind are massage services and acupuncture treatments. Both of these techniques are highly effective in the treatment of certain ailments. All of these practices at The Silent Mind will work together in calming overworked minds and help relieving the body of stress. First, let us get an understanding of the acupuncture treatments offered at The Silent Mind. Acupuncture is the insertion of fine needles into the body in specific areas, which proves to be effective in relieving certain health issues. In traditional medicine, it is unclear exactly how acupuncture works. But the basic idea is that it eliminates pain by keeping the blood flow and energy in our bodies moving in the right direction. Some of the common issues that acupuncture is used for are things like pain (migraines, lower back, sciatica, and knee), allergy treatments, asthma, insomnia and anxiety. These are all common ailments that can be soothed by using a holistic approach rather than drugs or surgery. The Silent Mind in Twinsburg also offers a variety of massage services. Some of the most popular services include massage therapy—used for the treatment of injury or chronic ailment and relaxation massage—which is applied to relax tense muscles. Another type of massage that is offered is a prenatal massage. This massage requires a doctor’s release, but is sure to deliver a safe massage experience that can help relieve the mental and physical stresses associated with pregnancy. These are just a few of many massages that are offered at The Silent Mind by practitioners that are either licensed massage practitioners or Master Massage Therapists. It is for these reasons that people come from all over the Hudson and Solon areas to utilize their services. Finally, The Silent Mind believes that it is important to involve the entire family with health and spiritual enlightenment. Therefore, they offer many family martial arts and fitness options for a wide range of ages. Children as young as four and seniors are welcomed to participate in the various courses offered at The Silent Mind. The Silent Mind teaches both Japanese martial arts and Chinese martial arts. If you’re interested in taking a course that differs from the traditional karate class, The Silent Mind is the place to visit. With 3 complete Black Belt programs in Goshin Jujutsu, Aikido, and Kung Fu, as well as complete programs in ladies self-defense, you’re likely to find an appropriate class at The Silent Mind no matter your age or interest. The Silent Mind‘s senior Black Belt instructor staff has over 150 years of combined experience. Their instructors work closely with each student to ensure their student’s training goals are met. By attending one of these classes, you and your family members will develop self-discipline, healthy habits and patience, as well as discovering a fun and interesting activity that you can take part in for the rest of your life. Along with these exciting courses, The Silent Mind also offers T’ai Chi, yoga, meditation and Pilates for those who want a more relaxing fitness experience. Any of these programs would be ideal for developing a healthy exercise regimen, as well as increasing concentration and learning about proper breathing techniques. If you’ve been searching for a way to get in shape while decreasing the stress you feel from everyday life, one of these classes might just offer the perfect solution. As you can see, there are many ways that The Silent Mind offers you health and spiritual enlightenment through their courses. To see a full list of massage services, family martial arts courses, acupuncture treatments and more, visit their website at www.thesilentmind.com. While on the website, take a look at the testimonials section to see what students and families are saying about this school and its services. If you happen to be in the area, you can also stop in and see all that they have to offer. Once you’ve viewed one of their yoga or Jujutsu classes in progress, you’ll note that these courses differ from the usual karate and fitness classes you may be accustomed to. The Silent Mind is conveniently located near Hudson, Ohio and Solon, Ohio at 9076 Church St. in Twinsburg, Ohio. Give them a call at 330-425-7204 to see when you can start improving your body and mind, and enlivening your spirit. This entry was posted in Acupuncture Treatments, Fitness, Health & Wellness, Martial Arts, Martial Arts, Massage Therapy, Recreation/Sports and tagged acupuncture treatments Twinsburg Hudson Solon Ohio, family martial arts Twinsburg Hudson Solon Ohio, health and spiritual enlightenment Twinsburg Hudson Solon Ohio, JuJutsu Twinsburg Hudson Solon Ohio, Karate classes Twinsburg Hudson Solon Ohio, massage services Twinsburg Hudson Solon Ohio, The Silent Mind Twinsburg Ohio by admin. Bookmark the permalink.